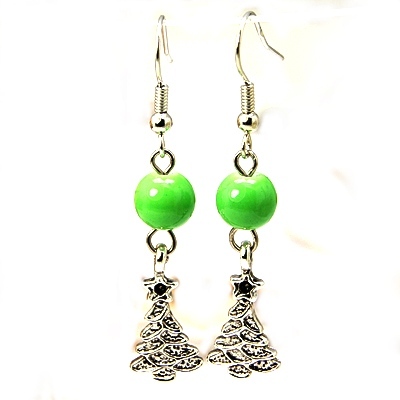 New Pair of Christmas Tree Dangle Earrings With Lime Green Glass Beads. An Earrings Retail Card is included. All measurements are approximate.